Happy Friday my sweet friends! How is it the end of August already?! I thought is would be fun to share a little bit more about me, what I do as a style blogger and wardrobe consultant, and answer some of the most common questions I get asked…. I absolutely love interacting with you all daily on Instagram and Facebook! Q: How did you become a style blogger? A: I started my style blog The Haute Homemaker back in 2013 right after I had my son as a creative outlet, and way to share easy style tips with other busy mom’s/women. I decided to take a leap of faith and start my wardrobe consulting business www.closetcurating.com last year (fall of 2017) after years of dreaming of owning my own business, and desiring to share my passion for fashion, but also teach and encourage women how to become the best versions of themselves. I believe we truly feel our best, when we look our best….and I love empowering women to know that truth, and blossom into the person they were created to be. 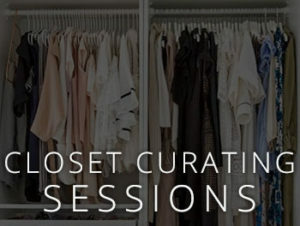 Q: What is your closet curating business all about? 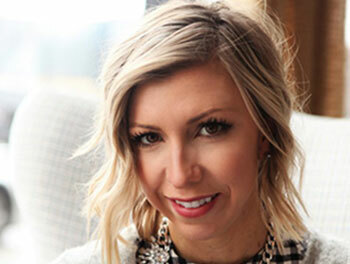 A: I am a wardrobe consultant and owner of www.closetcurating.com, a website and personal styling service helping busy women style their wardrobes and simplify their lives. I work with women both in person in the Des Moines metro area, and virtually all over the country, to simplify, purge, and organize, their wardrobes to best suit their lifestyle and budget. I help my clients cultivate their own unique personal style, and then teach them how to implement/shop/dress to achieve a wearable, versatile, wardrobe, that they truly love! Q: What is your favorite app(s) on your phone? A: The bible app is a great way for me to be in the word daily, reading scripture and sharing encouragement with my family, and friends! 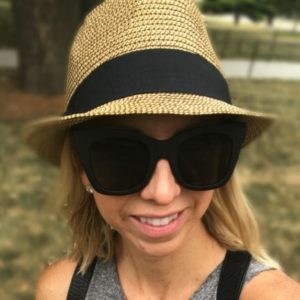 But most of all I love meeting connecting with thousands of incredible women daily on Instagram through stories, as I share my love of fashion, what I am learning in my motherhood journey, and how I juggle being a police wife, mompreneur, runner, & clean recipe innovator, through the amazing, & authentic community I have cultivated. Q: What is your favorite devotional you share daily on Instagram? A: My favorite devotional is called “Jesus Calling” by Sarah Young. It is something I have read on and off for the past seven years. I love that it has a few passages of scripture to read each day, along with a few encouraging words or wisdom that always points me to Jesus, and helps me to start my day with perspective, and gratitude. It is something I can easily read each morning as a busy mama of two toddlers, (which can be a challenge some days) in ten minutes and be encouraged! I also have loved reading and journaling daily in my Write the Word journal from Cultivate What Matters. Q: What is your coffee drink of choice? *To naturally sweeten (making it whole 30 approved) I add 3 pitted dates. Or you can add 3-4 drops of organic liquid Stevia (Trader Joe’s). Blend it in your blender, (we have a Vitamix & its life changing!) for 30 seconds to mix all the ingredients and make great froth. Pour and enjoy! Q: Where are your sunglasses from? I get this question every day I wear these sunglasses on Instagram! A: My all time favorite pair are these, I wear them almost daily! Q: Where is your gold “S” initial necklace from? Q: Where are you from? I hear an accent I your voice? A: I was born & grew up in Michigan the first 14 years of my life, in the suburbs, (Birmingham) of Detroit. Then my family moved to the Suburbs of Chicago (St. Charles), when I was a freshmen in high school. I stayed in Illinois for college and got my B.S. at Illinois State. After I graduated from college I moved to Denver CO to start a new adventure in my life, and peruse my fashion merchandising career. I am an adventurer at heart….I love the mountains, skiing, hiking, ect! Colorado is also where I met my husband, where we got married (in the mountains), where we had our 2 babes, and lived a lot of life for 10 years! Then in 2016 we felt God calling us to moved our family back to the Mid West (Des Moines), where my husband grew up to raise our babes, be closer to family, and have a new beginning. That was a long winded answer, but I guess I am from a lot of different places! But I would say I grew up in the Mid West, but my heart, and the most amount of life change/experiences, was in Colorado! We hope to move back there someday and retire in the foothills. Q: Is your background in Fashion? A: Yes, I got my bachelors degree in Apparel Merchandising and Design, and studied abroad in Florence Italy. After I graduated from college I worked for Urban Outfitters for several years, then Anthroplogie, as a manager and merchandiser. I loved how I was able to use my skills in mechanizing and passion for styling. But I had always secretly dreamed of owning my own business sone day. Something I could do while staying at home with my kids, but also perusing my gifts of styling, design, and passion for helping/teaching busy women and mom’s. I guess I am living out my dream and it is awesome! A lot so hard work, sacrifice, trial and error, and doing it scared, but I am living out my dream! Q: Do you want more children? A: We would love another child! This is kind of a loaded question, though. I have shared in the past on Instagram pretty candidly, about our struggles with infertility and multiple miscarriages over the past several years. But, we are trusting the Lord and what he has for our family. If that means we are done growing our family, and we have our two babes here on earth to love and care for (we have two babes in heaven), or if God has more children for us to love and raise?! I honestly do not know what is in store for our family? I will say it has definitely not been an easy road to navigate these past two and a half years. Grieving the loss of both of our babies. Dealing with disappointment month after month. So desperately trying to control and manipulate a situation I clearly cannot control! It was exhausting! But the past few months I feel like I am in a much better place accepting where we are at, truly trusting God and his perfect ways and timing, and finding contentment no matter what my circumstances are! It has been quite a journey. What I do know is that God is in control and I am totally ok with that! And he does ALL things for good, and my own best interest. Q: Where are your favorites places to shop? 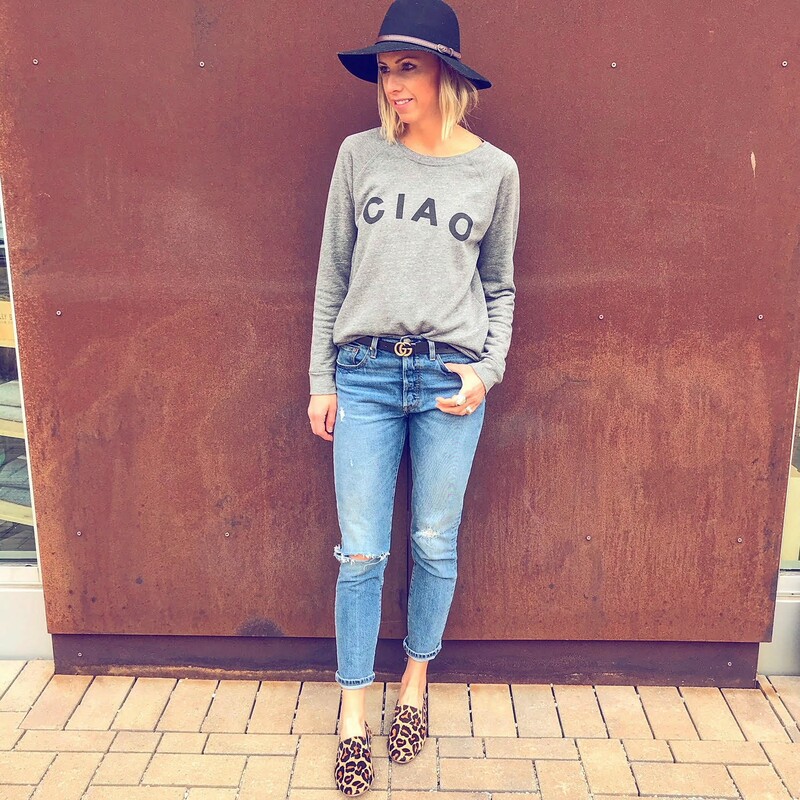 A: This is a tough one to narrow down to a few, But,….I would say, Anthropolgie, Madewell, Nordstrom, Target. But I also love to shop at small boutiques for more unique, special pieces. And I love a good consignment shop when I have time to search and dig (which is rare these days!). I hope you all have an amazing weekend! I would love to hear more about you?! Leave me a comment below or send my a direct message on Instagram!